The Greatest Gift Easter activity book retells the traditional story of Jesus' death and resurrection in a simple way that children can understand. Activities like secret codes, hidden pictures, and more reinforce the story. The activities and illustrations are designed for children (ages 8-10) to enjoy. Greatest Gift, The Easter Activity Book by Warner Press Kids was published by Warner Press in January 2016 and is our 1307th best seller. The ISBN for Greatest Gift, The Easter Activity Book is 9781593178505. 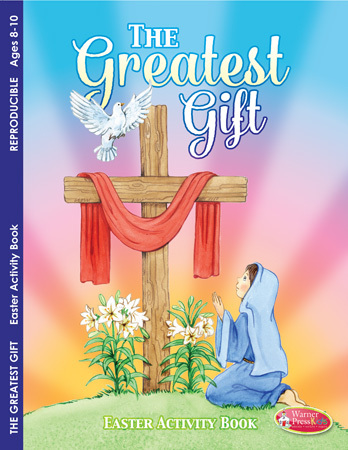 Be the first to review Greatest Gift, The Easter Activity Book! Got a question? No problem! Just click here to ask us about Greatest Gift, The Easter Activity Book.